Manitoba Craft Council is looking for a visionary and energetic person to volunteer on the CCF Promotions Committee. The purpose of the CCF Promotions Committee, under Manitoba Crafts Council, is to promote Manitoba craft news on a national scale. This position exists in the Communications team and reports to the MCC Staff and the CCF Administrator. Putting together posts to feature on the Canadian Crafts Federation social media accounts (Facebook, Instagram, twitter) according to the National Promotions Committee calendar (About twice per month). Select artist and image to feature, ensure we have permission to use image. Prepare text to promote image/artist and confirm current handles and hashtags. 1- 2 hours per month, working online/from home. 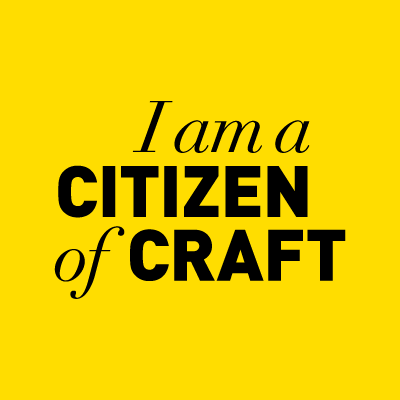 Manitoba Craft Council is looking for an energetic, craft and design advocate to volunteer in the role of Citizens of Craft Website (MB) Coordinator! The purpose of the Citizens of Craft Website (MB) – Coordinator is to promote Manitoba craft news, MCC events and activities on a national scale, and encourage/help members to update their profiles. Curate local content to post through CCF’s social media streams. This position exists in the Communications team and reports to the MCC Staff. Managing the Manitoba craft and MCC content on the Citizens of Craft Website. Promoting, posting and updating Manitoba craft news, MCC events and activities on a national scale, and encourage/help members to update their profiles. Curate local content to post through CCF’s social media streams. 4 – 6 hours per month, plus regular Video/Telephone Conference meetings with Regional Coordinators. Manitoba Crafts Museum and Library is looking for an enthusiastic and communications savvy Social Media Coordinator to aid in developing and posting regular content for MCML’s social media channels. This position monitors, engages with, and grows an online community of naturally curious craft enthusiasts and lovers. The Social Media Coordinator maintains an audience-first approach and maintains the brand and voice of a world-class cultural institution on social media. The right candidate for this position can navigate large posting regular diverse content, and do so with confidence, expertise, and clear communication. At their core, this person has a passion for learning, storytelling, technology, current social media trends, and craft and design. Monitor, report, and respond or forward to appropriate staff follower’s questions, comments and issues. Implement and maintain institutional social policies and monitor social properties operated by other individuals and departments within the Council. Work may be done remotely or at the C2 Centre for Craft. 4 – 10 hours per month. The C2 Centre for Craft is home to the Manitoba Crafts Museum and Library (MCML) and the Manitoba Craft Council (MCC). A major feature of the facility is the C2 Shop, a retail operation dedicated to showcasing local fine craft and merchandise related to MCML and MCC. The gallery features 6-8 exhibitions of contemporary and traditional craft per year. We are seeking enthusiastic, energetic and welcoming individuals to join the C2 Shop and Gallery team. This position reports to the MCML Curator and MCC Director. Volunteers commit to a regular weekly or bi-weekly shift. C2 Centre For Craft is looking for a detail orientated, goal setting, craft loving person to volunteer as our Membership Coordinator! As the MCML Membership Coordinator, you are responsible in aiding membership tracking, communication, and development, increasing the number of people who support the C2 Centre for Craft, MCC and MCML, at all levels. The position will be working closely with C2 staff and provide admin support to help grow our organization! Managing the C2 Member databases and updating all Member data. Processing acknowledgment letters and membership fulfillment letters. Executing membership mailings including mail merge and printing labels. Other administrative support as required for C2. Manitoba Crafts Museum & Library (MCML) is looking for a ‘crafty’ IT Technician to give back to their community. MCML understands that IT and system administration is not just a job, but a craft and like any other craft takes years to master. Have you put in hours and dedication and now want to apply them to a rewarding cause? We are looking for a volunteer to help build, maintain and update MCML computer systems and networks, and help train our staff to make appropriate and safe usage of all the Museum and Library IT infrastructures. Perform troubleshooting to diagnose and resolve problems (aid in repairs, debugging etc.) that arise between the monthly reviews. Check computer hardware (HDD, mouses, keyboards etc.) to ensure functionality. Manage and help develop MCML computers and local networks in ways that optimize performance. Ensure security and privacy of networks and computer systems. Set up workstations with computers and necessary peripheral devices (routers, printers etc.). Proven experience in IT or relevant position. In depth understanding of diverse computer systems and networks.